Awed by the stunning Innova Crysta, Rajesh Karkera, is now eagerly waiting to get into the driver’s seat for the magical experience. Photographs: Rajesh Karkera and Hitesh Harisinghani/Rediff.com. 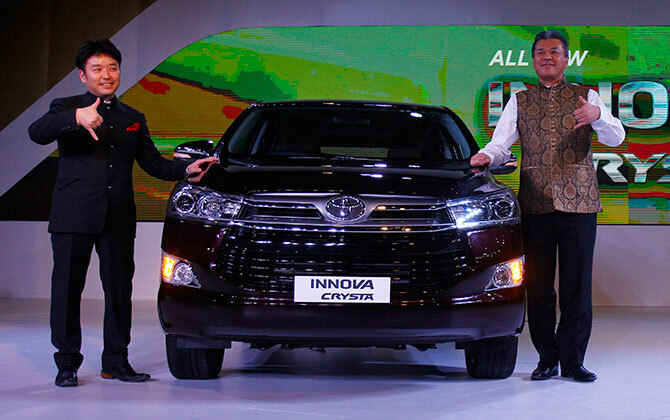 After a long frustrating wait when Toyota fans were wondering if the automaker will actually phase out Innova, it arrives in a new avatar -- the Crysta. 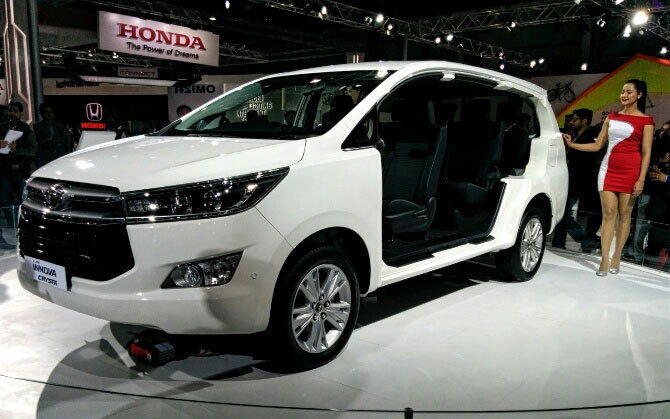 For 11 years Innova ruled the MPV market in India. 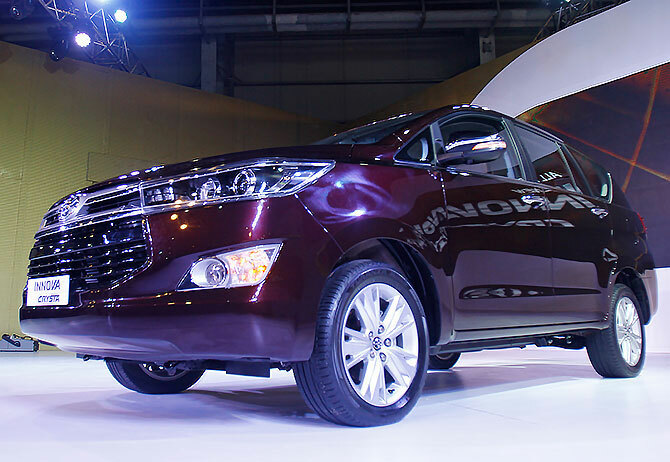 The 'All New Innova' boasts of a completely new frame, a new engine and a completely new built-from-scratch 6-speed gearbox, and yes, that too automatic! The interior sports a living room type comfort, which, had disappeared from cars after the Tata Sierra Coupe. 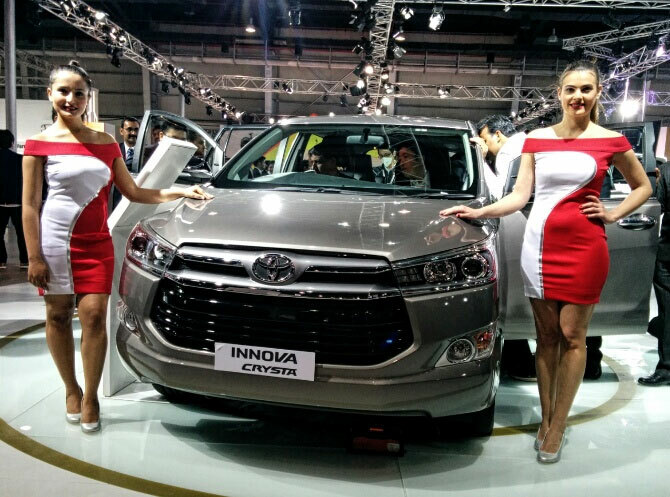 The new Innova looks much nicer upfront. The pictures fail to do justice to its look. The frameless grill does remind me though of Outlander, the phased out Rohit Bal designed SUV. 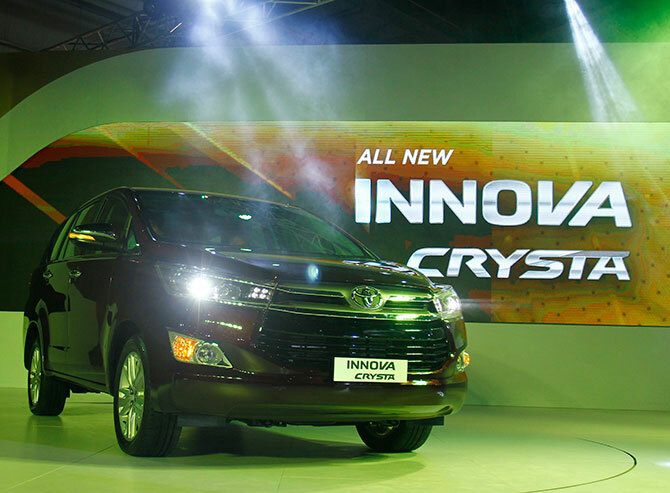 But on the the Innova Crysta, this frameless grille becomes the focal point of the design from where all the lines originate and the car looks huge from the front, especially because of the bulges at the sides. 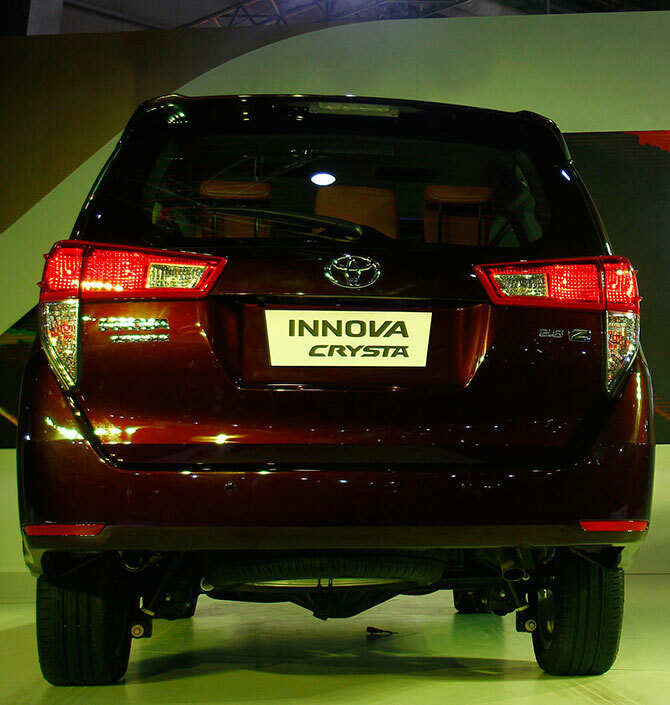 The new Innova comes with 17" alloy wheels and chrome window lining. But the wheelbase remains the same as the older version. The interior looks like a sophisticated spaceship! The layout is a never before seen beautifully designed dashboard with wood finish, false aluminium inserts, and a responsive touch screen with a jut out layout of the climate controlled AC switches. It is indeed a great layout for the drivers. Crysta comes with cruise control and an electronically adjusted driver's seat and a single button to fold the 2nd row seats for easy access to the 3rd. Earlier, this was a major task as the older Innova owners would agree. So how heavy will Crysta be on your pockets? 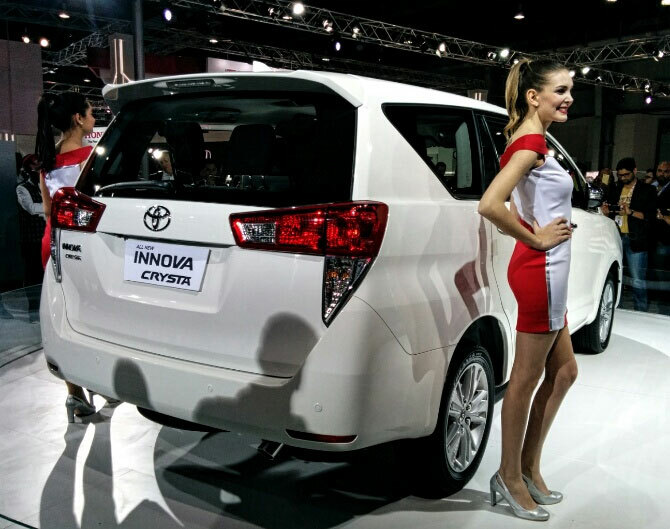 Going by its Indonesia launch, Crysta will most likely be costlier by Rs 50,000. Ideally it should be between Rs 14 lakh and Rs 20 lakh, depending on the variant you choose to buy. Expensive? Well yes, but remember this is one MPV which has the least maintenance cost and can take a family of seven anywhere, anytime. Here comes Honda's powerful 7-seater BR-V! The stunning Chevrolet Corvette is here!